Until recently New York City was one of the few metropolises without comprehensive cell phone coverage in its subway. 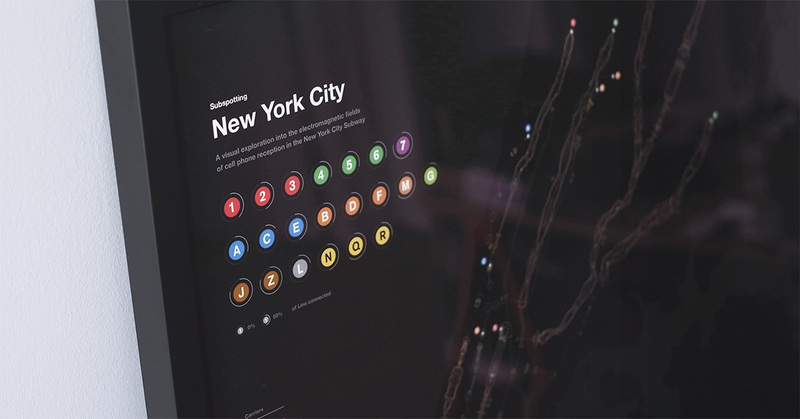 During that time of unreliable connectivity underground, the Subspotting app provided information about the available cell phone service and WiFi signals in the entire New York City Subway in a unique visualization and interaction paradigm. It was the first project of its kind to capture the cell phone reception in the entire subway system to provide New Yorkers—through a poster and an iPhone app—with information on where to make the next call or send the next text while underground. 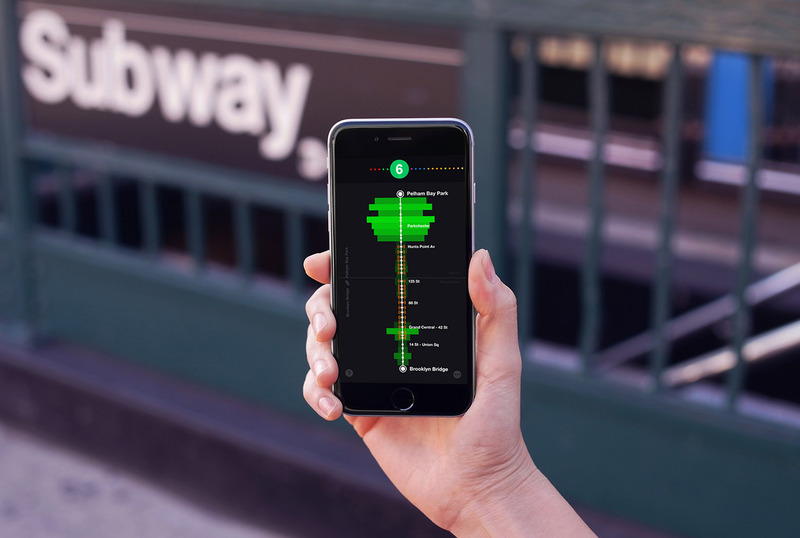 Using a custom data logger, the Subspotting project captured the cell phone reception for the four major carriers (Sprint, Verizon, AT&T, T-Mobile) along the 660 miles of track of the New York City Subway over the period of two weeks. With this data set - that has not been logged in its entirety before - the project created a visual portrait of cell phone reception in New York City’s underground highlighting the dead spots, spotty signals and stretches of good cell phone reception. 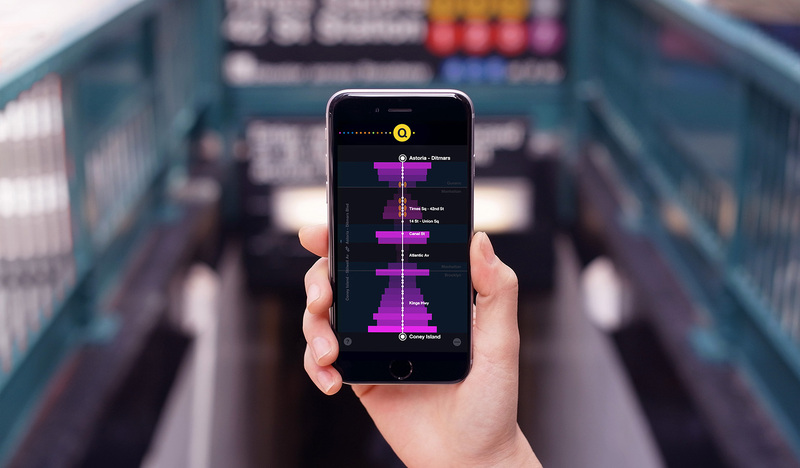 The Subspotting app provided up-to-date information to New York City Subway riders about the available cell phone reception and WiFi signals in the subway in a unique visualization and interaction paradigm. 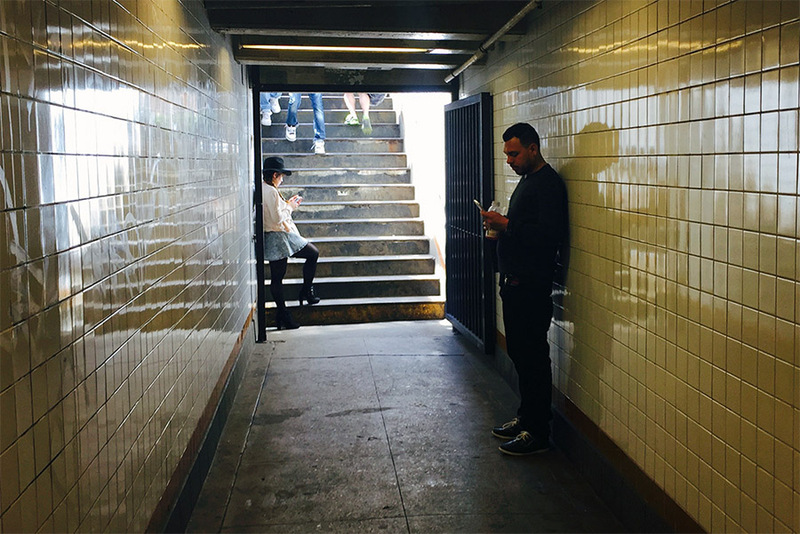 Besides showing subway riders where to send the next text or make the next call using cell phone reception or WiFi, it also indicated stretches where the line runs aboveground along the way. The Subspotting posters are a visual portrait of the available cell phone reception and WiFi signals in the New York City Subway. 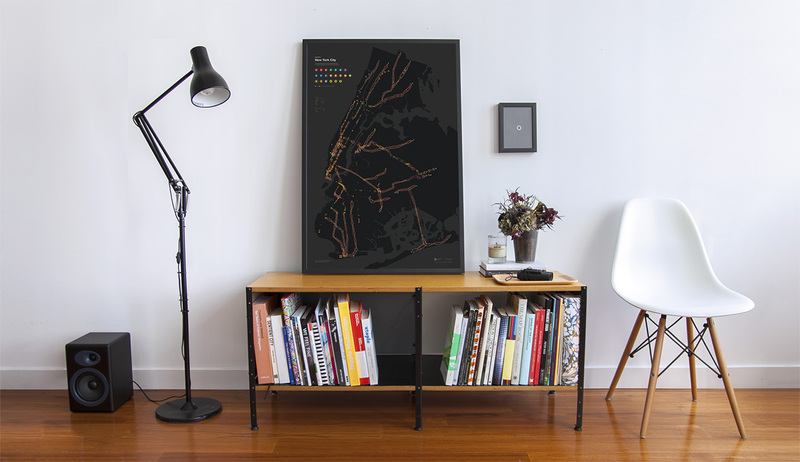 Providing a geographic, map-based view, as well as a linear view comparing the reception across all lines, the Subspotting posters are a unique visual snapshot of the cell phone reception in the New York City underground. 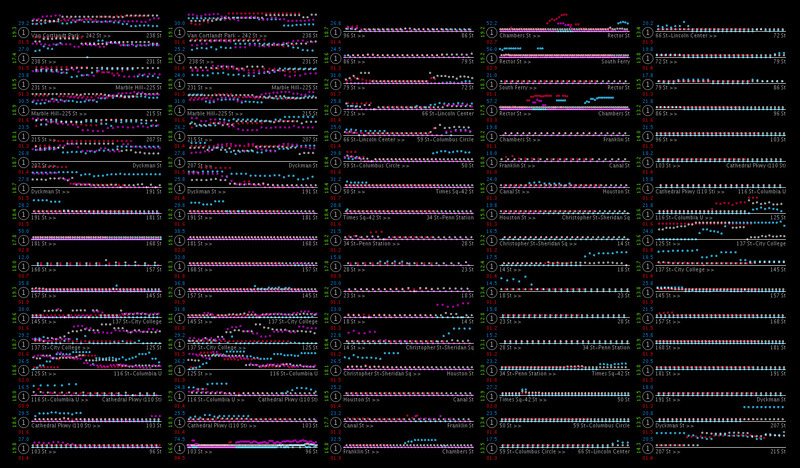 The Subspotting project - Capturing, mapping and visualizing the available cell phone reception along all 21 lines, 469 stations, and 660 miles of track of the entire New York City Subway.